Starting at the corner of Fifth Avenue and US 41, a brisk stroll will take you direct to the beach and back again in under an hour. Of course, you will want to allow extra time for browsing in the delightful stores and art galleries along the way. Stop and dine under the awning of a cafe or by the window of a gourmet restaurant, and watch life pulse through Olde Naples. Stop at the new Fifth Avenue South Information Center and Main Street Gallery and learn more about Fifth Avenue South while viewing the fine art collection. The Main Street Gallery features the artworks of Florida Regional Artists. The commerce and culture of Fifth Avenue South flows gracefully into the residential area, where the Gulf breeze beckons you to the beach. Over a wooden walkway, a view of powdery white sand and crystal water awaits. Southward you will see Naples Pier. There is more to admire as you return on the other side of the street. More antique and specialty shops, more fashion, shoes, jewelry, beauty salons, and home decor stores. More elegantly facaded office suites and residential buildings in the Italianate and contempo-traditional style, with exotic landscaping to set everything off to perfection. Fifth Avenue South, full of visual, cultural and gastronomic delights, is a symphony of experience. Everything has been done to make your trip to our Main Street both pleasurable and convenient. For your further enjoyment, a busy calendar of events includes a Christmas Walk and Avenue of Lights parade; a Mardi Gras carnival; a nationally renowned Festival of the Arts; a Taste of Collier fun and food bonanza; and a Fourth of July procession, complete with floats, bands and street entertainment. 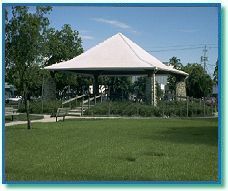 Cambier Park, located south of Fifth Avenue South between 8th Street S. and Park Street, is a popular venue for musical performances and picnicking under the pavilion.